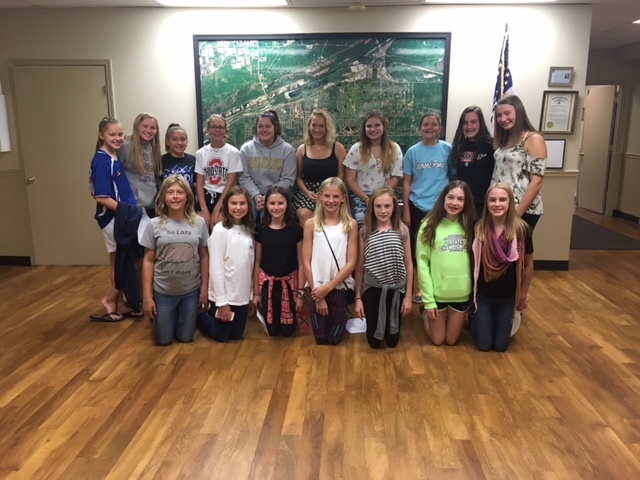 The Lemont Juniorettes is a service organization for girls ages 12-18. The club meets monthly to discuss and volunteer for various projects around the Lemont area including face painting, partnering with the Hope & Friendship Ministry, Breakfast with Santa, cooking meals at the Ronald McDonald House, Feed My Starving Children, and other projects associated with the Lemont Junior Woman’s Club. The girls will also hold fundraisers and social activities throughout the year. We hope to foster a sense of service and ownership in the girls, as it is their club. We endeavor to influence them as lifelong volunteers while always having a lot of fun! Meetings are held on the first Sunday of the month from 6-7 pm at the Township Center, 1115 Warner Avenue, Lemont, and membership dues are $20. Please download the application for membership to see what our club has planned!